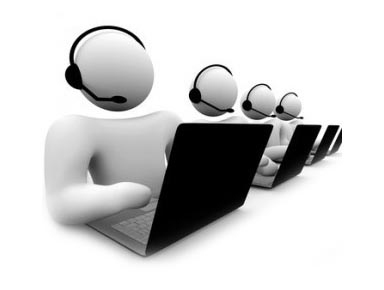 We provide cost effective and value added Call Center solutions to our clients. We leverage on our experience and expertise to offer unmatched BPO Call Center services. Our solutions are customized to reduce cost, increase productivity and quality. We combine expertise, skills and technology to deliver world class solutions. We strictly follow quality systems in all aspects of our operation.However, to call it just a cost cutting center, a virtual office for your organization is limiting its functionality. It’s your business partner that understands your needs and works towards contributing in your revenue generation. Management streamlines your entire purchasing requisition process and allows close collaboration with your vendors. By enabling your vendors to access your vendor self-service center, they can view your Purchase Order History and allow them to better serve you. If your Inventory Level ever runs low, Elish Consulting can automatically notify you to replenish your inventory. Also, with the help of Serialized Inventory, you can maintain quality assurance by tracking each of your Return Material Authorization (RMA) orders back to the vendor that you purchased from. Overall, Purchasing Management ensures that you maintain product quality, increase operation efficiency, and strengthen vendor relationships to increase your bottom line. Inventory Management gives you tighter inventory control by keeping an accurate count of your Inventory Stock and provides real-time visibility into your warehouse(s) at all times. Inventory Management delivers accurate inventory stock numbers by instantly updating your product quantities with each Sales Order and Purchase Order. With instant updates, you can forgo manually updating your inventory therefore avoiding errors commonly associated with manual input. In addition, an alert will automatically be sent when your inventory stock level runs too low. This level can be Preset and ensure that you will never run out of stock again. With a Elish Consulting Enterprise CMS (Content Management System) you can experience the future of dynamic web publishing today. Our advanced software solutions are flexible and scale-able making them suitable for both small and large organizations. Utilizing our unique products and services, you can quickly and easily create dynamic, attractive and content-rich sites without the need for any specialist programming skills or training. Furthermore, our solutions are fully customized and integrated, allowing you to manage and control your web assets with ease.